The treatment is aimed at "working memory," the ability to hold information in mind for a matter of seconds. It's crucial for things like taking medications, paying bills, buying groceries or planning. NEW YORK (AP) — Zapping the brains of people over 60 with a mild electrical current improved a form of memory enough that they performed like people in their 20s, a new study found. Someday, people might visit clinics to boost that ability, which declines both in normal aging and in dementias like Alzheimer’s disease, said researcher Robert Reinhart of Boston University. 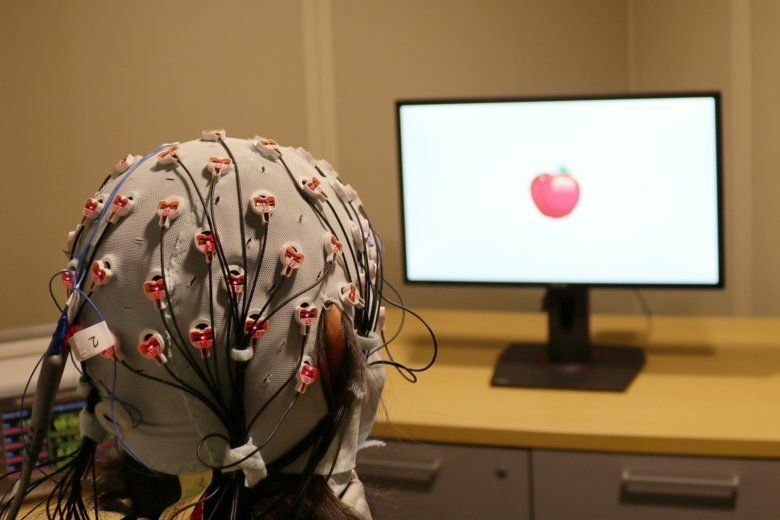 The treatment is aimed at “working memory,” the ability to hold information in mind for a matter of seconds as you perform a task, such as doing math in your head. Sometimes called the workbench or scratchpad of the mind, it’s crucial for things like taking medications, paying bills, buying groceries or planning, Reinhart said. “It’s where your consciousness lives … where you’re working on information,” he said. The new study is not the first to show that stimulating the brain can boost working memory. But Reinhart, who reported the work Monday in the journal Nature Neuroscience, said it’s notable for showing success in older people and because the memory boost persisted for nearly an hour minimum after the brain stimulation ended. One scientist who has previously reported boosting working memory with electrical stimulation noted that the decline in this ability with normal aging is not huge. But “they removed the effects of age from these people,” said Dr. Barry Gordon, a professor of neurology and cognitive science at the Johns Hopkins School of Medicine in Baltimore. “It’s a superb first step” toward demonstrating a way to improve mental performance, said Gordon, who was not involved in the new study. The electrical current was administered through a tight-fitting cap that also monitored each subject’s brainwaves. For study participants, that current felt like a slight tingling, itching or poking sensation under the electrodes for about 30 seconds, Reinhart said. After that, the skin got used to the current and it was imperceptible. The researchers’ idea was to improve communication between the brain’s prefrontal cortex in the front and the temporal cortex on the left side, because the rhythms of activity in those two regions had fallen out of sync with each other. During a sham stimulation, the older group was less accurate than the younger participants. But during and after 25 minutes of real brain stimulation, they did as well. The improvement lasted for at least another 50 minutes after the stimulation ended, at which point the researchers stopped testing. It’s not clear how long the benefit reached beyond that, Reinhart said, but previous research suggests it might go for five hours or more after stimulation stops.